Philanthropy to support health and medicine is the focus of the updated exhibit “Giving in America” at the Smithsonian’s National Museum of American History. 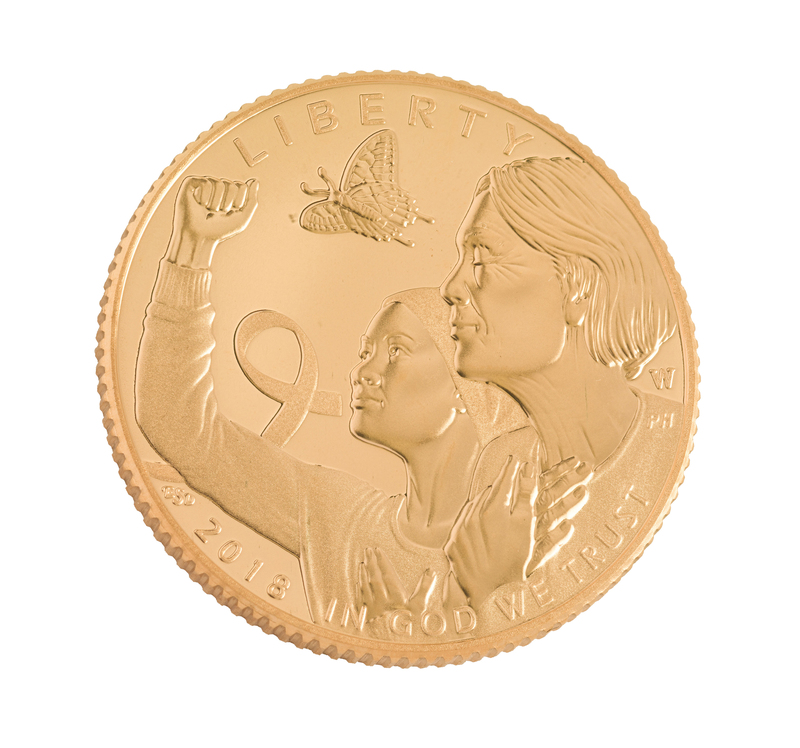 Donations from The Estée Lauder Companies Archives and the Breast Cancer Research Foundation (BCRF) March 19 include artifacts such as a 2018 U.S. Mint commemorative coin designed to help raise funds and a breast cancer awareness petition. “Giving in America” is a long-term exhibit that looks at philanthropy’s role in shaping the United States. It is part of the Smithsonian Philanthropy Initiative, which launched in 2015 to explore philanthropy’s collaborative power through collecting, researching, documenting and displaying materials related to the history and impact of giving. The initiative hosts an annual “Power of Giving: Philanthropy’s Impact on American Life” symposium, which will take place March 19 after the donation ceremony. In 1992, Evelyn H. Lauder, with SELF magazine, used the Estée Lauder global brand to launch a pink ribbon campaign to raise breast cancer awareness. A year later, she founded BCRF; Lauder was able to motivate consumers to help support the mission. The donations to the national collections will include a SELF magazine and Estée Lauder Companies “Count Me In” petition with a pink ribbon from that first year; a Breast Cancer Awareness donation card with enamel pink ribbon from October 1993; a BCRF press kit, also from 1993; and an Estée Lauder pink ribbon makeup compact from 1997. BCRF is donating three proof coins from the commemorative coin program: a $5 pink gold coin, a $1 silver coin and a half-dollar coin made of copper-nickel. Authorized by law, the coin prices include surcharges that benefitted BCRF to further breast cancer research in the U.S. and abroad. Exhibition highlights include an 1852 medal from the Humane Society of the Commonwealth of Massachusetts for work in rescuing drowning victims, an operating-room cap worn on a Liberia medical mission, a mosquito net to prevent malaria, a 1973 New York Chinatown health fair poster and a Rotary International “polio free” hat. Sneakers worn by Puerto Rican actor and comedian Raymond Arrieta in 2015 represent an annual charity walk around the island to support cancer patients. Letters by signers of the Giving Pledge known for their health and medical philanthropy will be on view in the exhibit. In addition, visitors can peruse over 140 other Giving Pledge letters on an adjacent digital kiosk. The Giving Pledge is a commitment by the world’s wealthiest individuals and families to dedicate the majority of their wealth to philanthropy. Online videos enhance exhibit content, including a March of Dimes video that highlights the organization’s pioneering mass-fundraising techniques in the 20th century. The Smithsonian Philanthropy Initiative is made possible through a grant from the Bill & Melinda Gates Foundation and a gift from David M. Rubenstein, co-founder and co-executive chairman of The Carlyle Group and chair of the Smithsonian Board of Regents. Additional support comes from the Fidelity Charitable Trustees’ Initiative, a grant-making program of Fidelity Charitable. For more on the Philanthropy Initiative, visit https://americanhistory.si.edu/philanthropy and the Giving and Health webpage at https://americanhistory.si.edu/giving-and-health. Through incomparable collections, rigorous research and dynamic public outreach, the National Museum of American History explores the infinite richness and complexity of American history. The museum is located on Constitution Avenue, between 12th and 14th streets N.W., and is open daily from 10 a.m. to 5:30 p.m. (closed Dec. 25). Admission is free.